« Happy November from Squash and Pumpkin! For lunch today, we had a themed lo mein – stems! 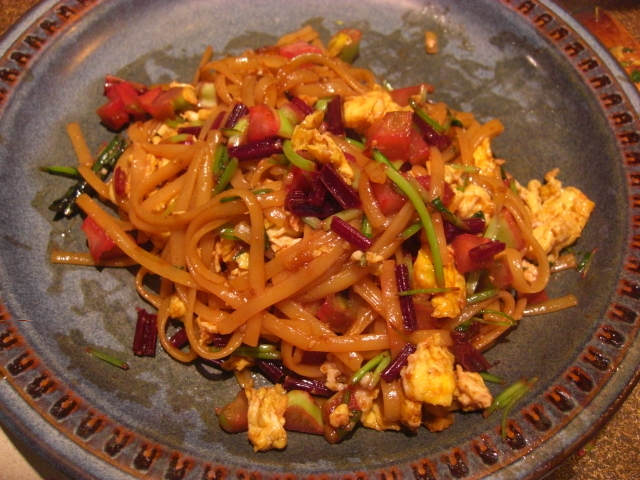 I cooked this with four beautiful CSA eggs, noodles, and Annie Chun marinade. It was delicious, nutritious, and in no way compromised by consisting of veggie parts of lesser charisma. This dish would have been even nicer with thinly-sliced beef. Next time. If you need a lo mein recipe, here’s Rachel Ray’s. It calls for hoisin sauce, but could use any stir fry sauce you like (or find on sale). Or you can make your own. This site has some great details on how. 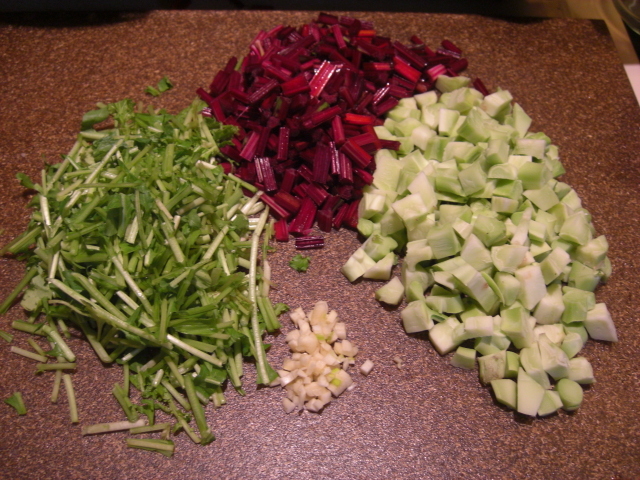 Stems also work with fried rice. If you’re more into fried rice, here’s a good place to start.